Peace Ridge Sanctuary offers a temporary home to rescue dogs while placing them in foster homes or finding families to adopt them. 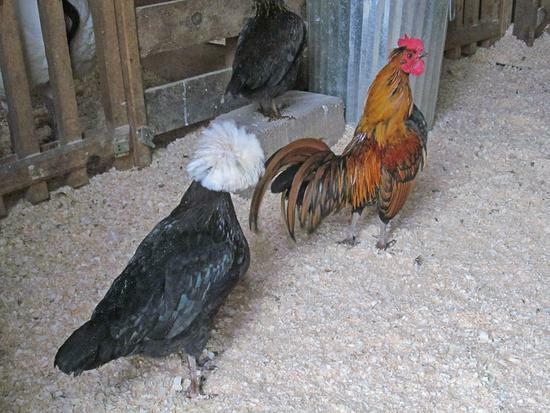 Neglected chickens and other farm animals find a permanent home at the sanctuary. 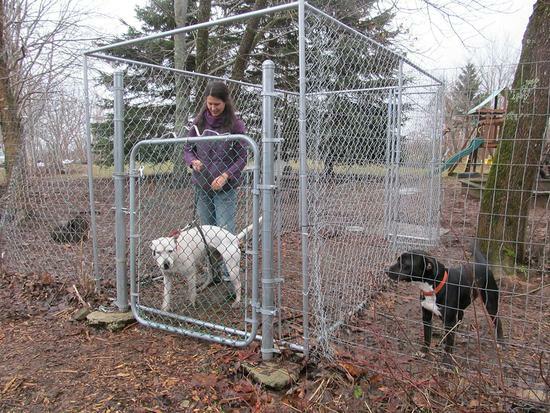 Founder Daniella Tessier cares for rescue dogs in the dog run. Dogs also stay in an indoor dog room. 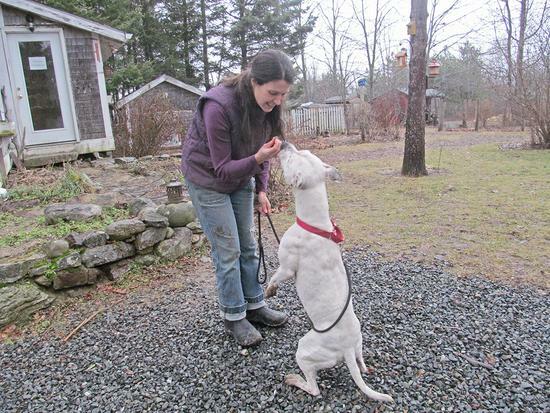 Founder Daniella Tessier works with Sophie, an American Staffordshire rescue dog.